Pinterest appears to be gaining traction really quickly right now. If you aren’t familiar with it, it’s a image sharing site which provides theme based “image boards” which people can “pin” items to (think of the old cork bulletin boards people hang on walls and pin photos and pieces of paper to). It seems unusual to see a new image-sharing type of social media site to be gaining so much ground, and so quickly. This could be happening due to beneficial attention from influential people who may be serving as “mavens” as Malcolm Gladwell describes them. With significant people such as Jeremy Stoppelman (involved in early PayPal, Yelp, etc) as initial investors backing it, it has gotten pretty good industry attention. I have written numerous times about image SEO and leveraging social media image sharing sites in the past as a means for building PageRank when doing search engine optimization, so I may have to update my comparison matrix for image sharing sites for SEO value in order to rank it. Pinterest’s homepage has a toolbar PageRank value of 6 currently, but nearly 16 million pages are indexed! Even more wonderfully from a search marketer’s viewpoint, the dreaded NOFOLLOW tag is not in use as of yet, so links included with images can pass PageRank. For instance, this page of wedding photos contains links which pass PageRank (although, arguably the links could be slightly more optimal if they weren’t opened into new windows with the target=”_blank” parameters in the link tags). Pictures from Pinterest.com are showing up nicely under image search results, too. According to Google Insights, searches for “Pinterest” have climbed so quickly this year that it’s now on par with searches for “Flickr” and “Picassa”. While searches for the brandname do not equate with traffic/visits to the site, they typically do correlate pretty closely. Some degree of Pinterest’s success may be attributed to its iPhone app, which has gained over 35,000 votes, and has 4.5 stars, indicating it’s well-liked by users. The main detraction from the site right now is in terms of motivation — why do users wish to go here, versus merely sharing images in Facebook, Twitter, Flickr — or, even within Google+, for that matter? The main advantage the site has right now seems to be in terms of the user-interface featuring the pinboards, which allow for good browsing, compared with less compelling lists of thumbnails found in most sites. The site also has a number of significant issues in terms of usability. If you sign up now, you can expect some clunkiness, depending on your browser. However, I would expect these issues to be addressed fairly rapidly. For SEOs, I recommend that you enjoy the not-yet-NOFOLLOWed status, because it’s certain to come to an end really soon. I might also predict that as it stands now, I think Pinterest might make better longterm sense as a user-interface feature of some other social media service such as Facebook, Twitter, or Google Plus. It might make for a very good acquisition for one of those services. This entry was posted in SEO, Social Media and tagged image search engine optimization, image seo by Chris Silver Smith. Bookmark the permalink. Thanks for calling this to our attention. As often happens, the SEO benefits of new and popular sites are short-lived. Here’s hoping it lasts a while. Very interesting. Mobile applications… well apps in general are becoming the new websites in some industries. I just wonder how easy it will be before facebook integrates a similar feature. 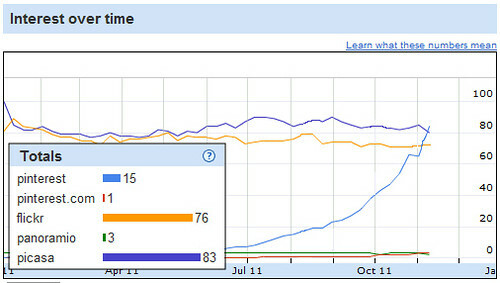 Amazing write-up about Pinterest and SEO. I am not sure how valuable it will be for link building since the search engines could just go through and write an exception to not allow value to pass. But it does have other SEO value from a user metrics standpoint. Just found this infographic about Pinterest in my twitter feed and thought it might be something you and your readers would enjoy. 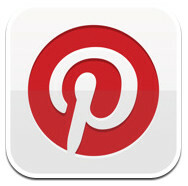 It talks about how local businesses can use Pinterest to market their products. My wife has also been all over this website for a few months now. And yes it is pretty cool. And a big yes for SEO link building. But we will see how long this lasts….Im sure the spam wave is coming! I love pinterest! I love the browsing feature and was wondering about using it for SEO. Thanks for the article! We’ll have to give it a try. I’m not doing promotion work on behalf of Pinterest, if you were suggesting that. Actually, I don’t mention that it’s beta or only open to invites because I signed up on the site and they pretty promptly gave me access to start using it. Getting an invite doesn’t seem inordinately difficult, thus far. Any guesses as to why Pinterest is overwhelmingly female? I’ve used pinterest to optimize my site and the result was amazing my site was jumped from #234 to #9 in few weeks time. The trick is we must got our website pinned and repinned by many people this is the hardest part. Most of pinterest users won’t doing repin when they aren’t like what we pinned. I do simple thing to outsource it on fiverr and got my site pinned by more than 70 people, I don’t know how can he did it just search by typing pinterest on fiverr and you will find it. My common sense tells me, pinterest is doing so well because it’s so expressive; a picture really says more than a thousand words. It’s interesting how the success of Pintrest is built around Facebook. But regardless, it seems like it is here to stay. If you’re targeting women age 25-50 then you should seriously consider Pintrest. Also, I have to say I’m a huge fan of their branding efforts. Its a great logo! I think because Pinterest is essentially a discovery site, it is hard to compare it to other social platforms. The people tend to be enthusiastic and eager to repin quality items. If we look for a purely traffic-generation solution from Pinterest, I think we will be disappointed. If we look at it as a series of “Ahh-ha Moments” and that your product or service might very well be that “Ahh-ha”, we look for better ways to package it for Pinners.